Park Ki Woong is back with another pictorial! 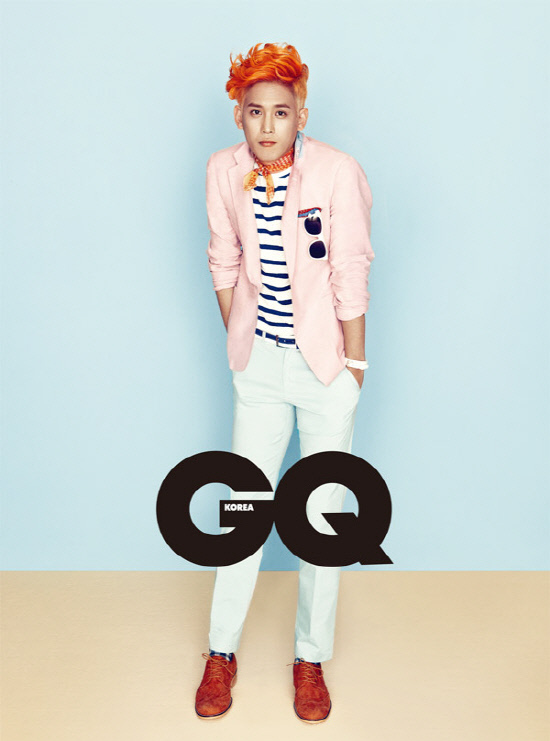 He’s going to be featured in GQ Korea’s March issue. 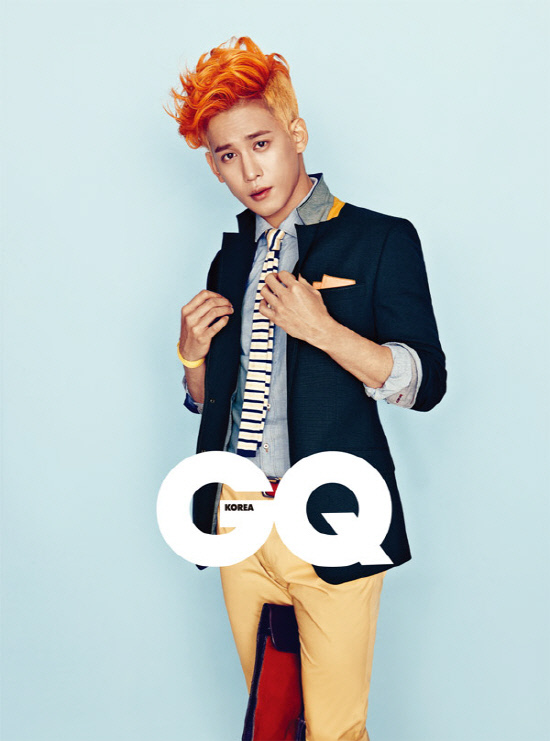 The clothes are of bright colors, just like his orange hair. ,the hair looks better in still than in a video. I had a WTF moment when I saw his hair on WinWin..